representatives of the people, the Benue State House of Assembly in exercise of her powers as provided for by section 4 of the Constitution of the Federal Republic of Nigeria 1999 (as amended). Part 2 of the Second Schedule to the Constitution reinforces the House of Assembly’s power by providing that "a House of Assembly may make Laws for that State with respect to industrial, commercial or agricultural development of the State." 11. 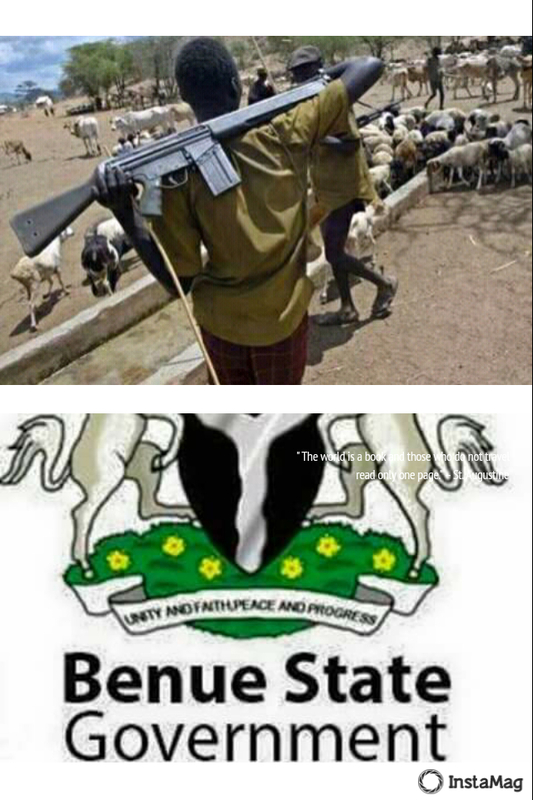 With regards to Miyetti Allah’s assertion that the law offends the constitutional provision on freedom of movement, we wish to state in unequivocal terms that the law does not restrict human free movement neither does it prohibit grazing of cattle but only seeks to confine the rearing and grazing of cattle to confined ranches which is in line international best practice for animal husbandry as well as legal provisions prohibiting loitering of animals. WE CHALLENGE MIYETTI ALLAH TO BRING ANY BETTER OR SUPERIOR SOLUTION THAT WOULD RESTORE LASTING PEACE BETWEEN FARMERS AND HERDSMEN TO THE TABLE RATHER THAN ISSUE THREATS THAT WILL COMPOUND THE PROBLEM. 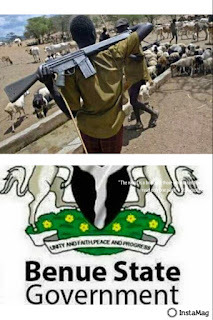 (iv) Are herdsmen versus farmers crises all over Nigeria, all geopolitical zones, North West, North East, North Central, South South, and South East and South West, including Southern Kaduna, Plateau, Taraba, Enugu, Cross River, Zamfara, Ekiti, Ondo, Oyo, Adamawa, Bayelsa, Anambra, and most recently Niger and Edo States all based on the fight for natural resources and right of original inhabitants? Government and people of the State. What the Government cannot accommodate is any group be it persons or any Organization breaching the peace of the state.